Now comes in a classic lip balm tube! A deliciously smooth lip balm scented with peppermint and a touch of lavender. I take organic virgin coconut oil, unrefined shea butter, mango butter, castor oil, calendula oil, avocado oil, organic olive oil and organic beeswax and melt them together to just the right silly consistency and then scent them with pure essential oils. This lip balm is not meant to be left in a hot car. Also, this isn't "chapstick" where you have to rub the on your lips twenty times to achieve moisture, so go gentle with my lip potion! Got this product today and can already say "5 stars! I love it!" The instant I put it on, the peeling skin on my lower lip practically breathed a sigh of relief. 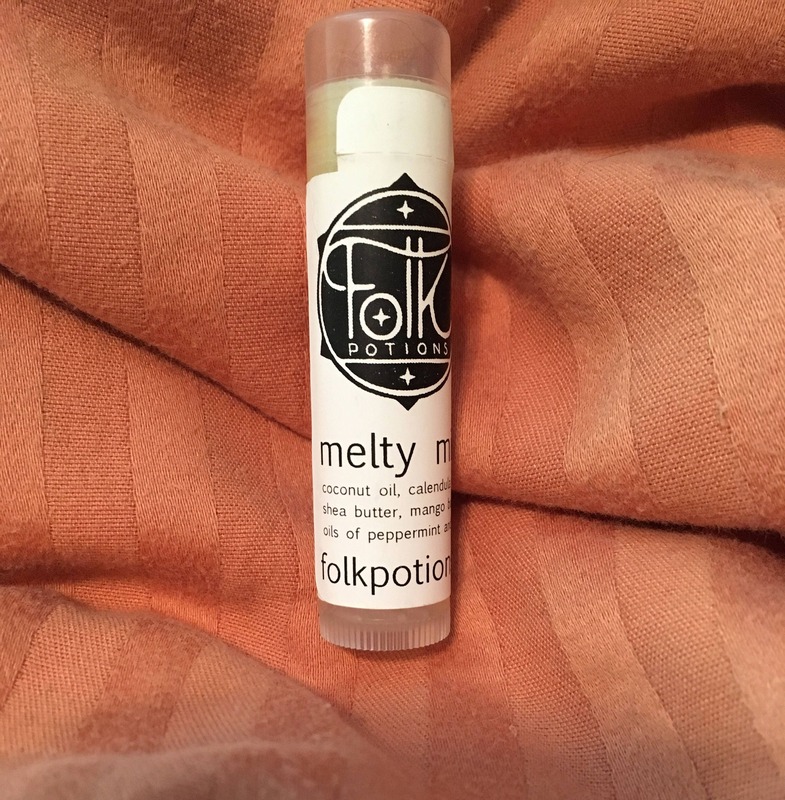 It's been a few hours now, and the balm has really been absorbed by my lips, and they feel quite moisturized and happy. I will say that I am aware that drinking water and using good skin care have to go hand-in-hand. I have been increasing my water intake for several months now and have still been experiencing peeling lips (I am currently using Dr. Bronner's lip balm). I will update this review in a few weeks regarding whether this balm solves my lip peeling! The lip balms that Raina creates cannot be beat. I recently went through a protracted illness that had me dehydrated every day. I ran out of her lip balm and was forced to use ChapStick. It did not help me with repeated applications. Once you try Raina's lip balms, you won't bother with the cheap crap that is on the market. This stuff really works. It is light, pleasantly scented AND it lasts without applying with a heavy hand. It feels so nice on the lips. Bonus that you are helping a small business whose owner obviously loves what she does. Thank you again, Raina, and thank you for the extra gift!